1 A None No Power Seat 1 A may have slightly restricted legroom due to the bulkhead. There is no floor storage for these seats during takeoff and landing. The proximity of the galleys may be bothersome. 1 C None No Power Seat 1 C may have slightly restricted legroom due to the bulkhead. 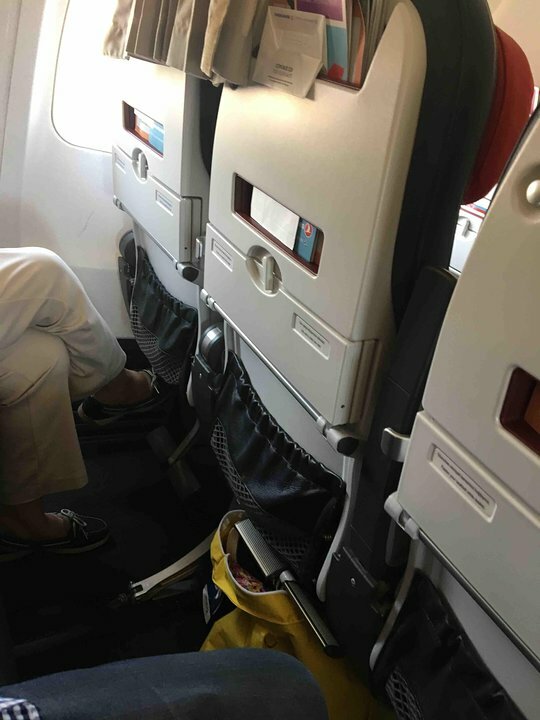 There is no floor storage for these seats during takeoff and landing. The proximity of the galleys may be bothersome. 1 D None No Power Seat 1 D may have slightly restricted legroom due to the bulkhead. There is no floor storage for these seats during takeoff and landing. The proximity of the galleys may be bothersome. 1 F None No Power Seat 1 F may have slightly restricted legroom due to the bulkhead. 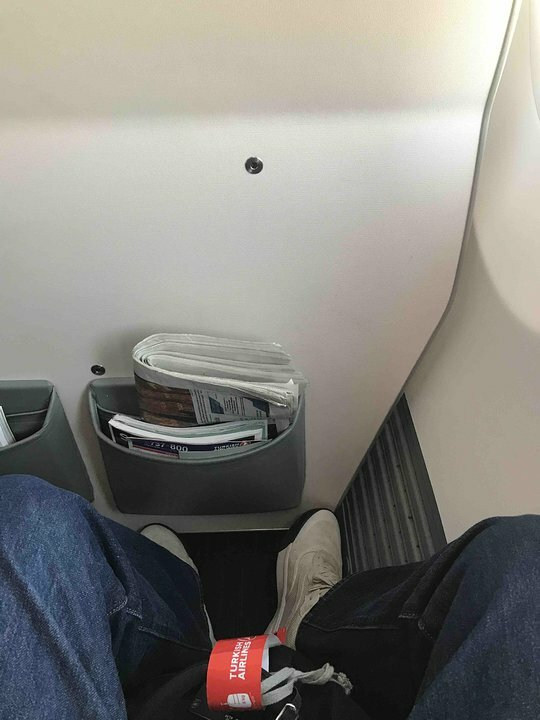 There is no floor storage for these seats during takeoff and landing. The proximity of the galleys may be bothersome. 5 A None No Power Seat 5 A is a standard business class seat. Some may find the proximity to economy class bothersome. 5 C None No Power Seat 5 C is a standard business class seat. Some may find the proximity to economy class bothersome. 5 D None No Power Seat 5 D is a standard business class seat. Some may find the proximity to economy class bothersome. 5 F None No Power Seat 5 F is a standard business class seat. Some may find the proximity to economy class bothersome. 6 A None No Power Seat 6 A is a standard economy class seat. However, there is no bulkhead dividing economy and business class. This seat has a removable tray table that will be given to the passengers by the flight attendants. 6 B None No Power Seat 6 B is a standard economy class seat. However, there is no bulkhead dividing economy and business class. This seat has a removable tray table that will be given to the passengers by the flight attendants. 6 C None No Power Seat 6 C is a standard economy class seat. However, there is no bulkhead dividing economy and business class. This seat has a tray table in the armrest which reduced seat width and makes the armrest immovable. 6 D None No Power Seat 6 D is a standard economy class seat. However, there is no bulkhead dividing economy and business class. This seat has a tray table in the armrest which reduced seat width and makes the armrest immovable. 6 E None No Power Seat 6 E is a standard economy class seat. However, there is no bulkhead dividing economy and business class. This seat has a removable tray table that will be given to the passengers by the flight attendants. 6 F None No Power Seat 6 F is a standard economy class seat. However, there is no bulkhead dividing economy and business class. 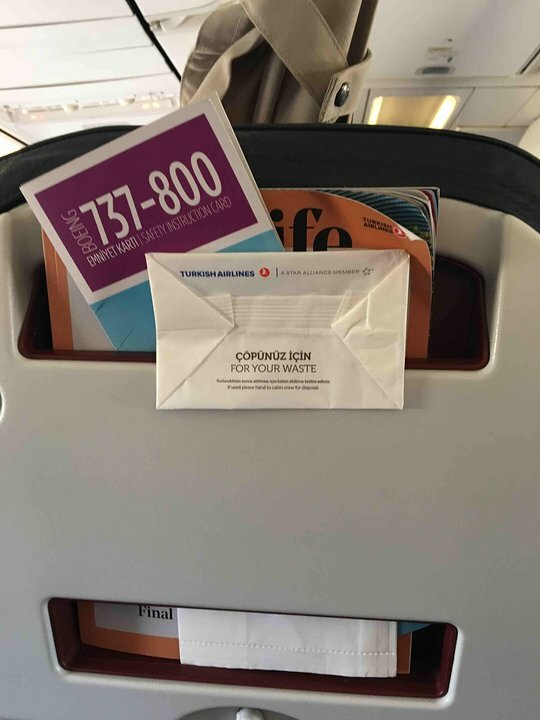 This seat has a removable tray table that will be given to the passengers by the flight attendants. 7 A None No Power Seat 7 A is a standard economy class seat, however, this seat is missing a window. 7 F None No Power Seat 7 F is a standard economy class seat, however, this seat is missing a window. This version of the Boeing 737-800 has 155 seats in a two-class configuration of Business and Economy. 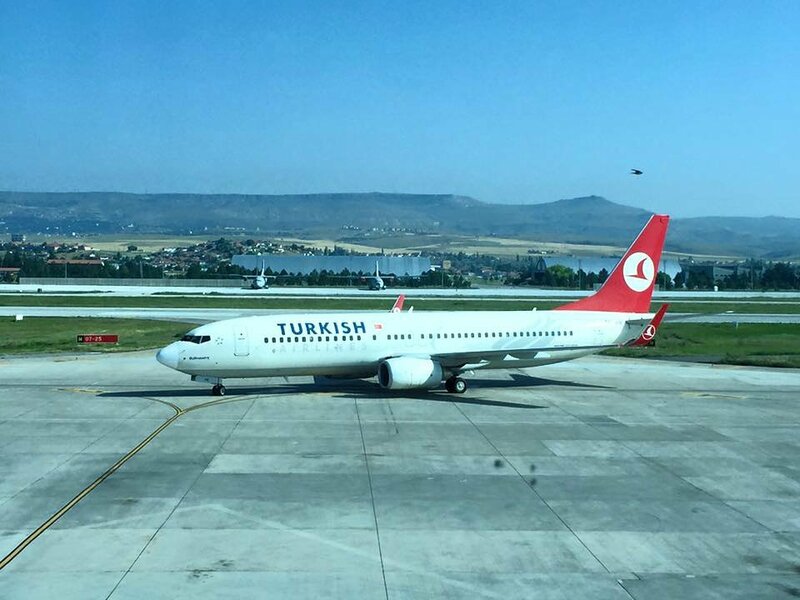 Turkish Airlines adjusts the number of business class seats based on demand. Therefore business class can have as little as no rows and as many as five. great flight from istanbul to dalaman fly it every summer. I have flown this route with three different aircraft, 737, a320, and a330. My favourite is a330 because they have tvs when the other options don't. The flight is long and I would expect better seats in business class. The seats are not much better than those found in economy class. The seats do not recline very much, so sleeping is difficult. I was expecting more for business class. I will avoid this route in the future. 2017/11/27 BHX-IST. Good seat, in middle of 2 windows with wide wall between but could see out both. Good knee room, seat width also good, unlike on TK1957 IST-AMS. Poor business class seats for long flights. Food good and new plane but for over 6 h flight seat should recline more. In my opinion, the Airliner was absolutely amazing. 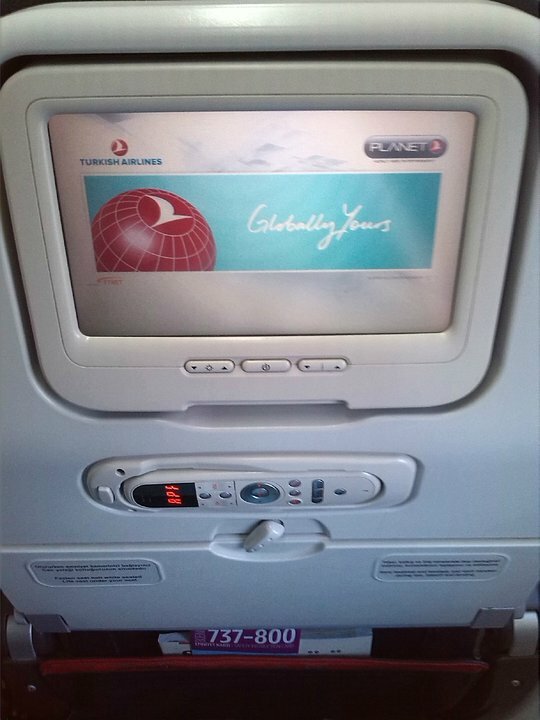 The new Sky Interior was beautifully designed and each seat was equipped with a PTV and IFE was great. Food they serve on domestic is very good, considering it's a 45 minute flight. For Business Class, these seats are very poor. The plane is small, the flight over 5 hours, and the seats are wide, but don't give passengers enough recline to really rest properly. Not a good value at all.